The One Bloor West : coming soon to Toronto’s Downtown Core, a spectacular 85 Storey Luxury Condominium located at Toronto’s most Sought After Corner, Yonge and Bloor. 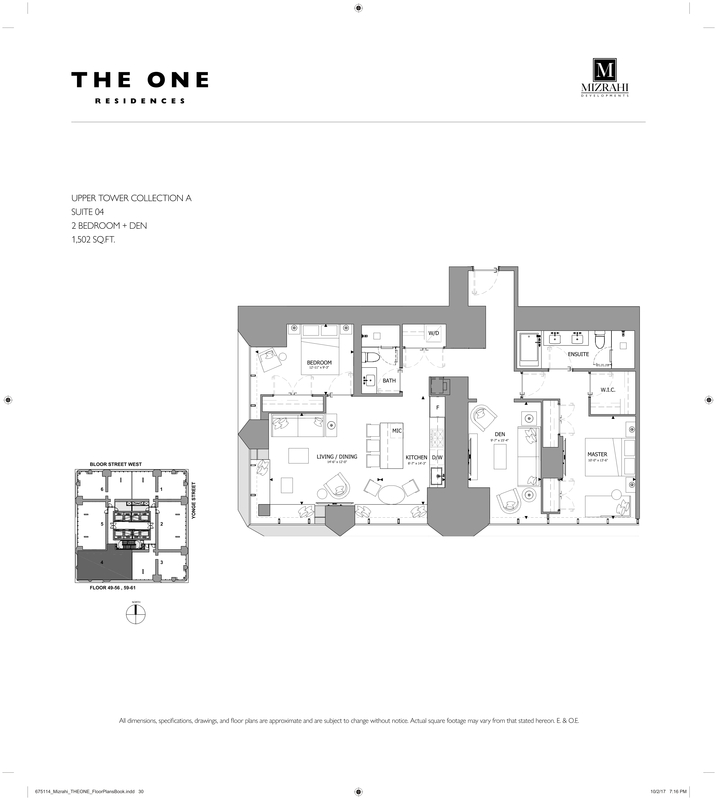 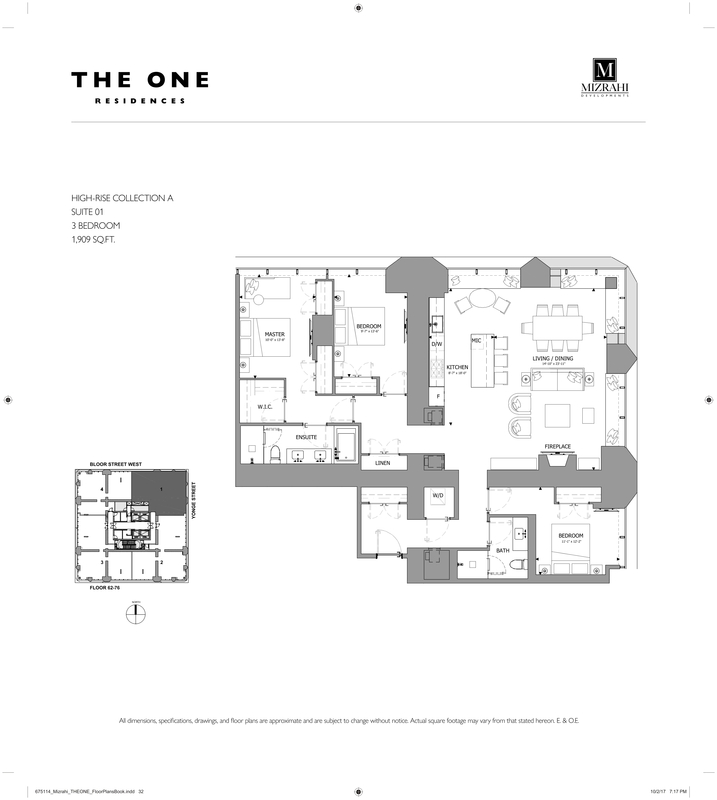 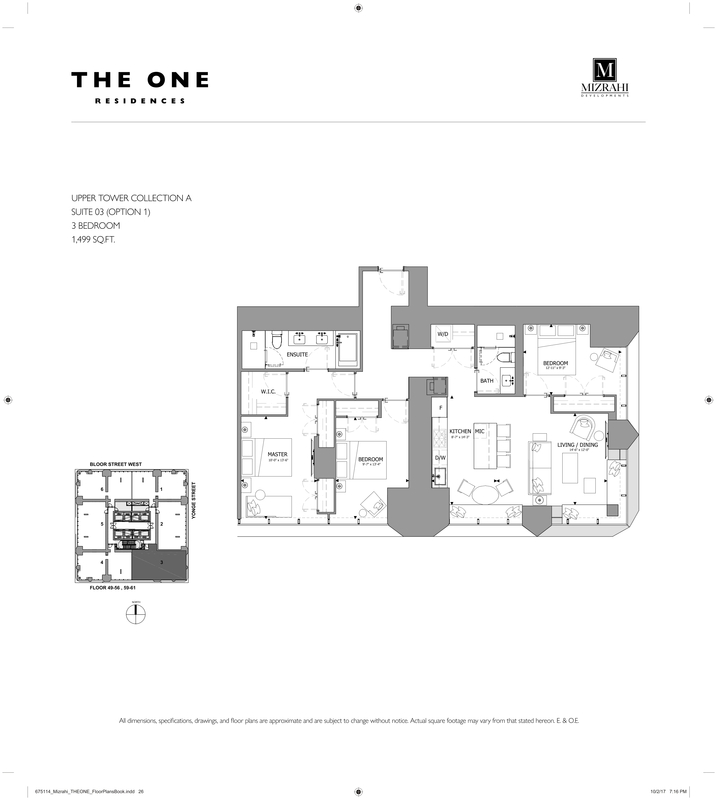 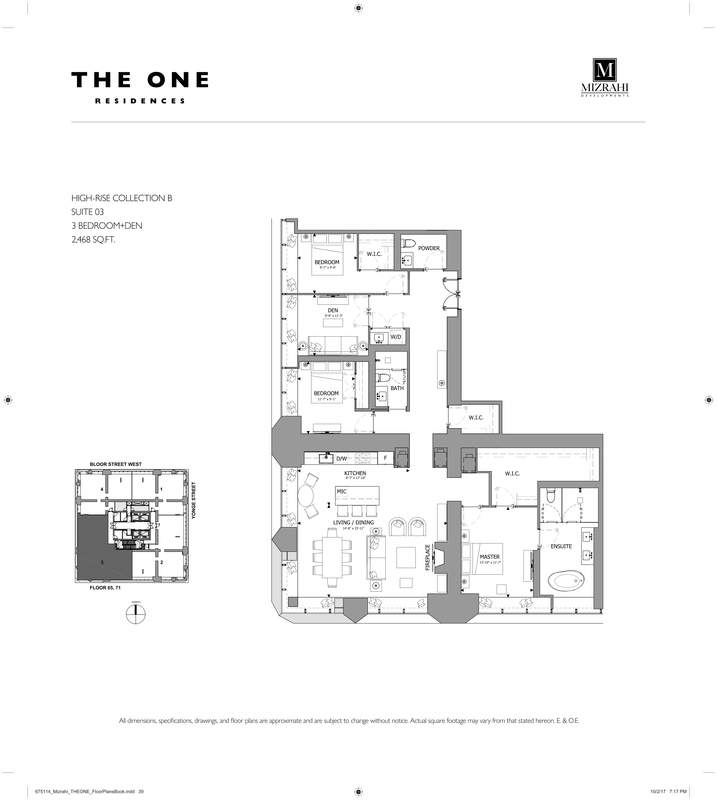 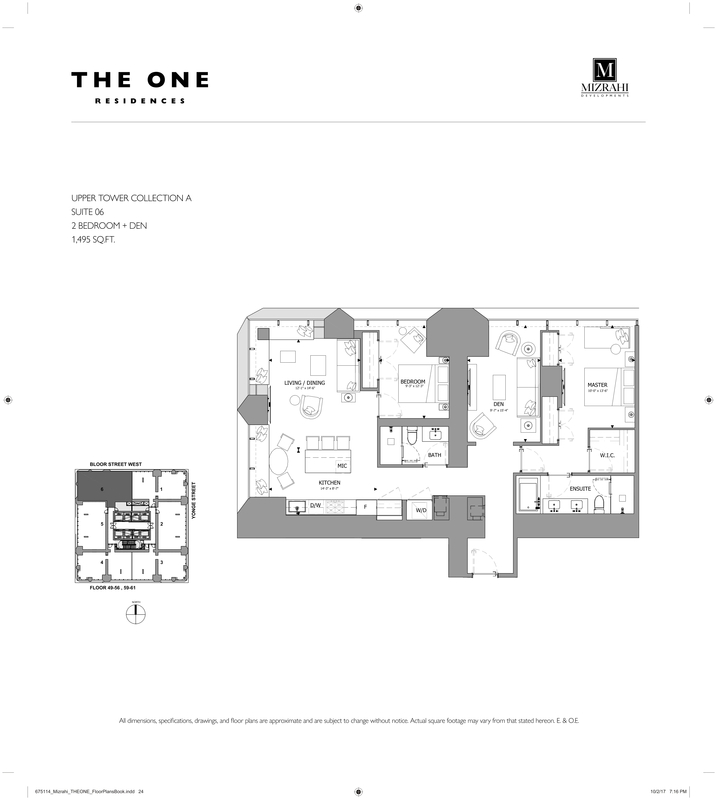 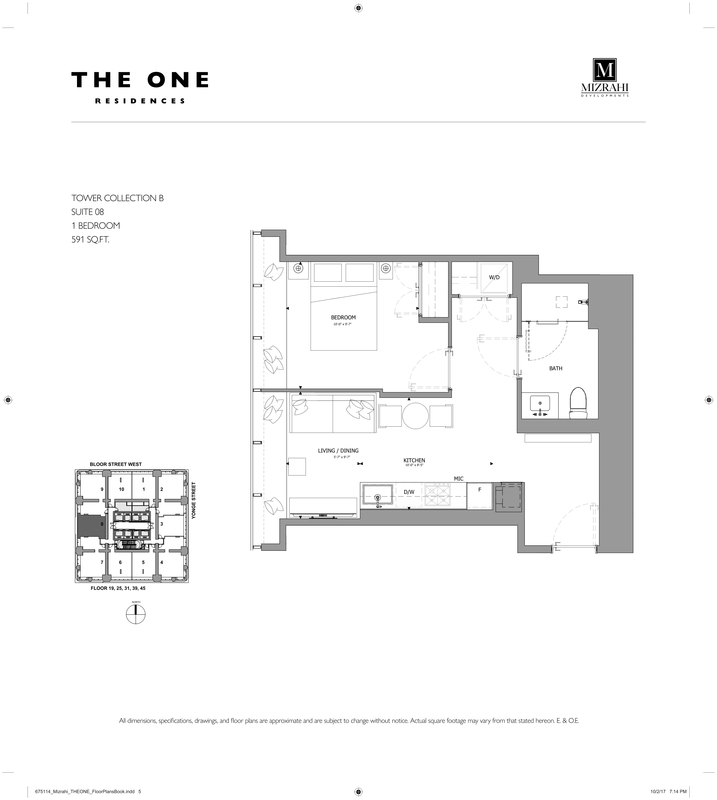 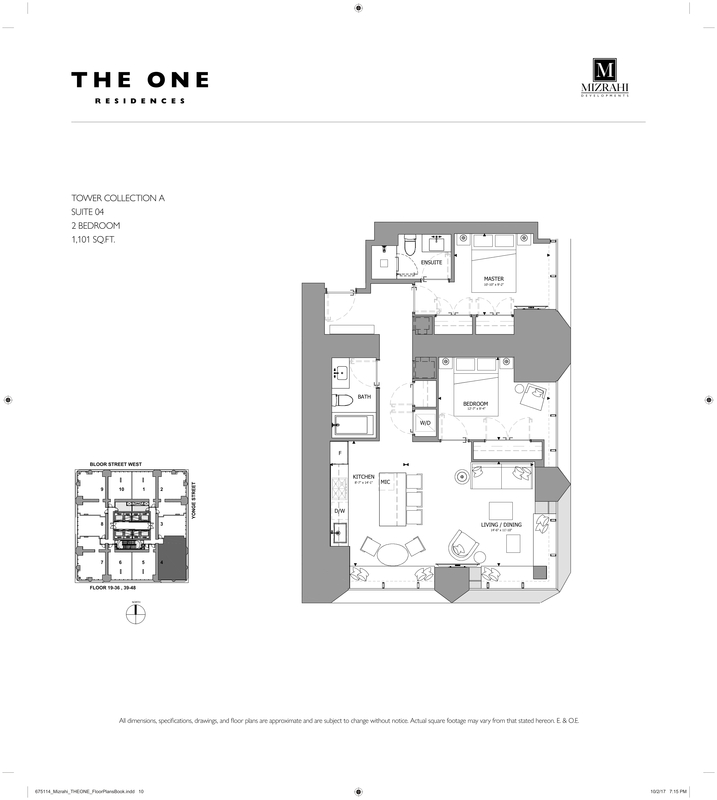 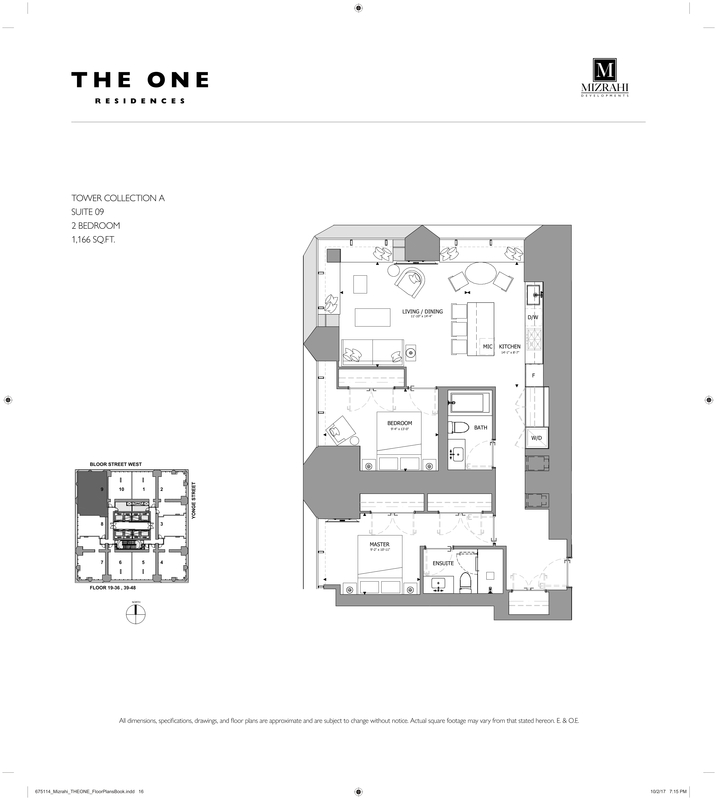 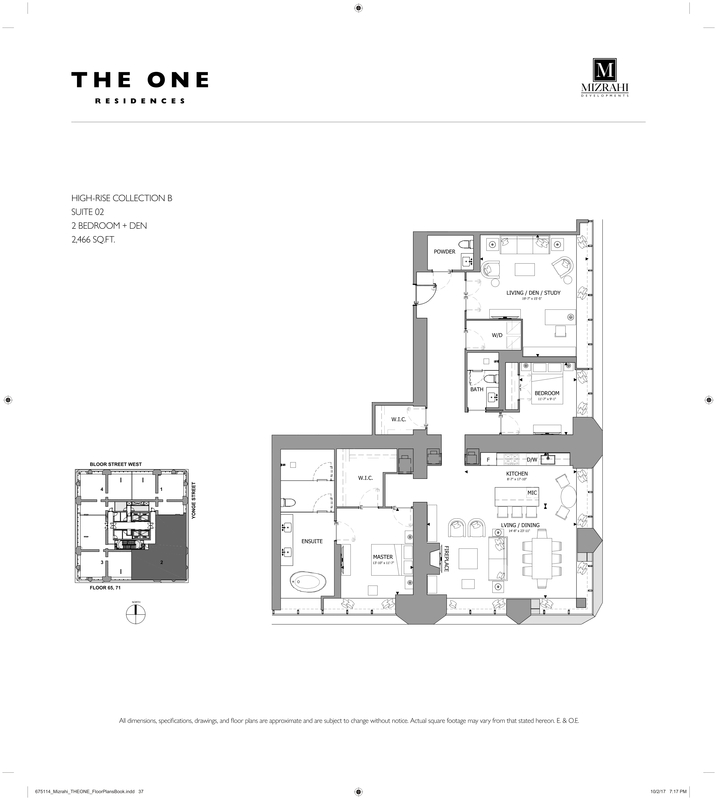 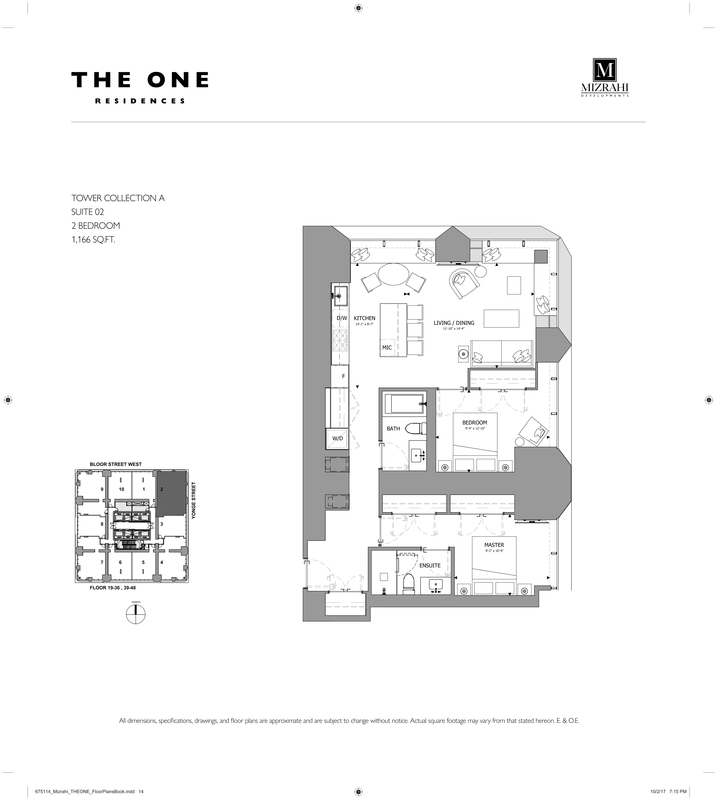 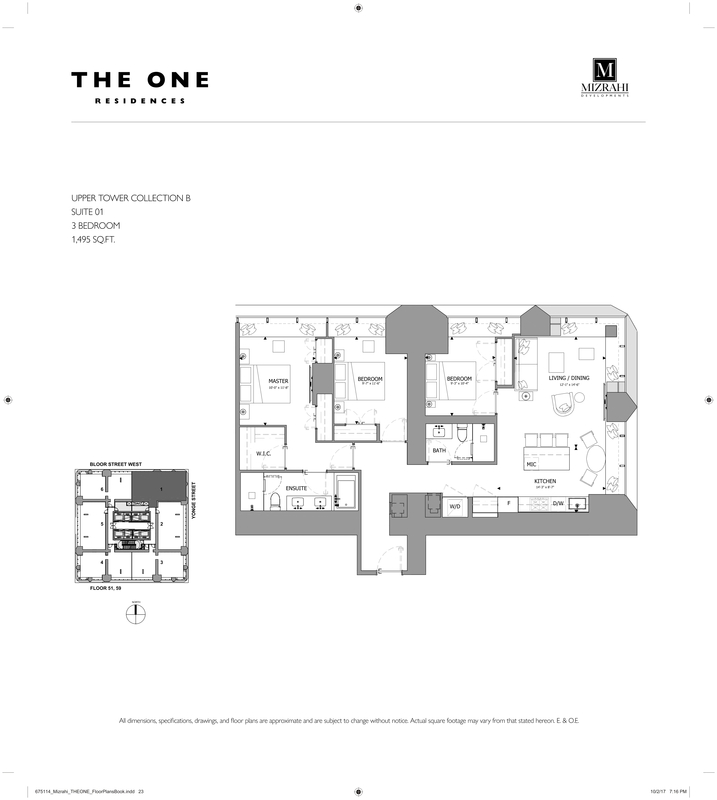 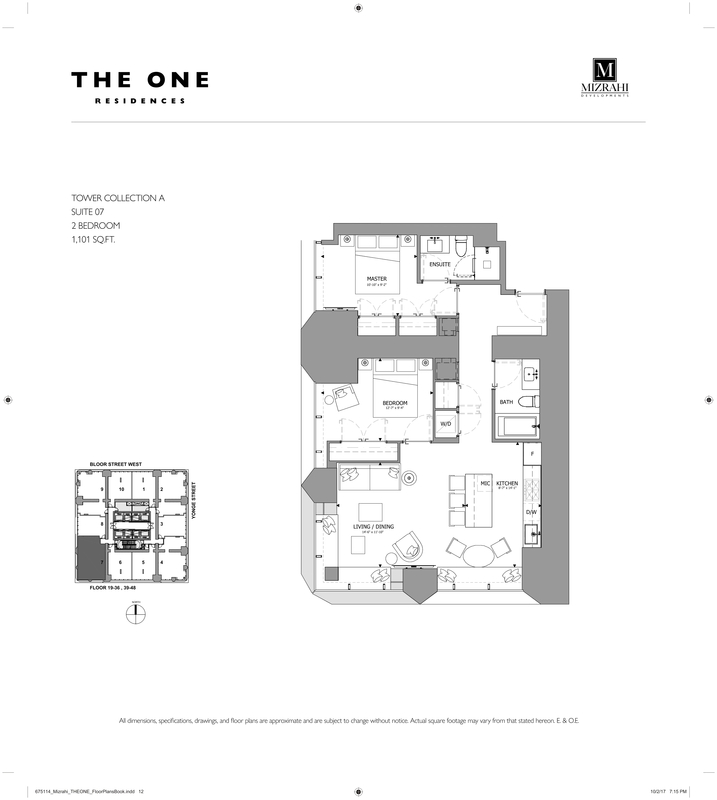 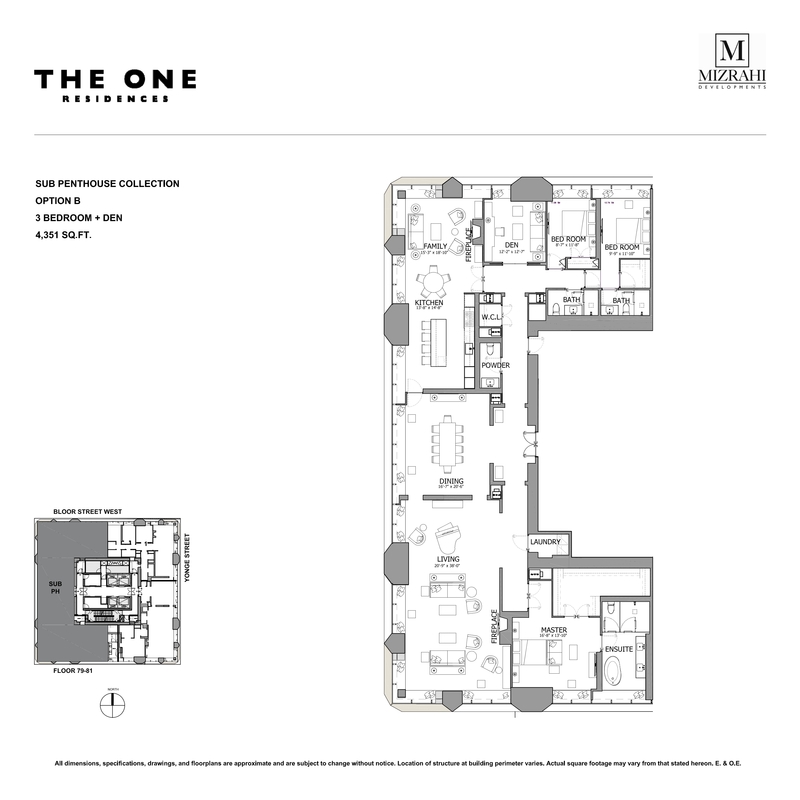 The One Condos are a brand new creation by Mizrahi Developments that will redefine Toronto's skyline. 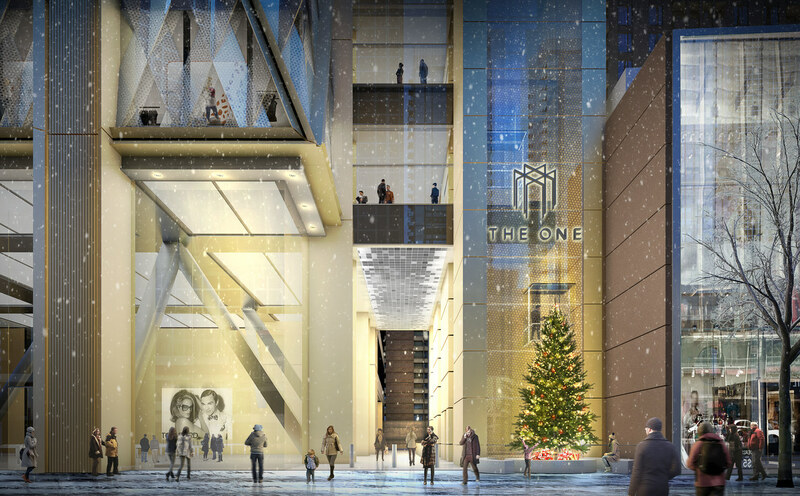 It will be second in height only to the CN Tower, and will boast an impressive array of one of a kind luxury amenities and finishes. 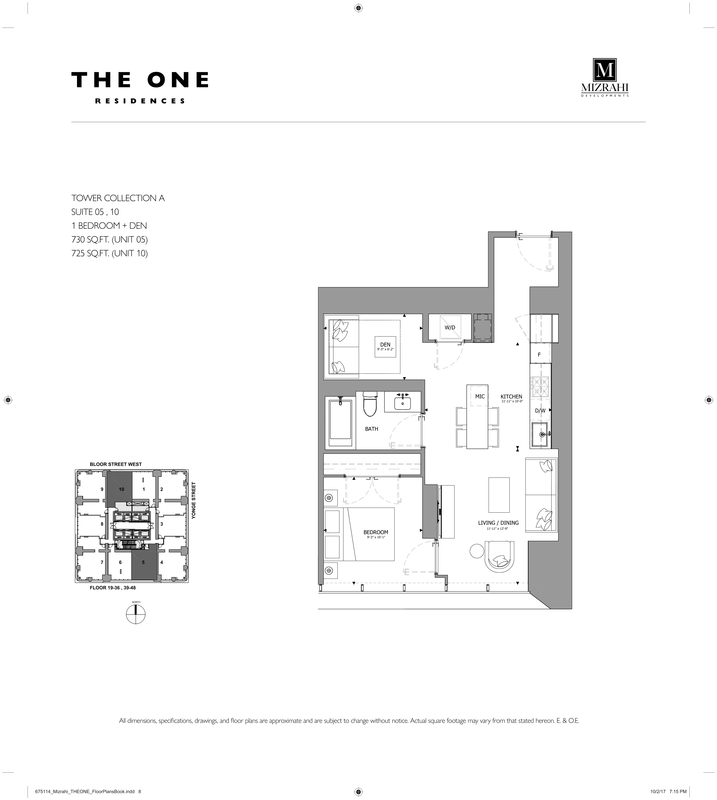 Register today for priority access, floor plans and availability. 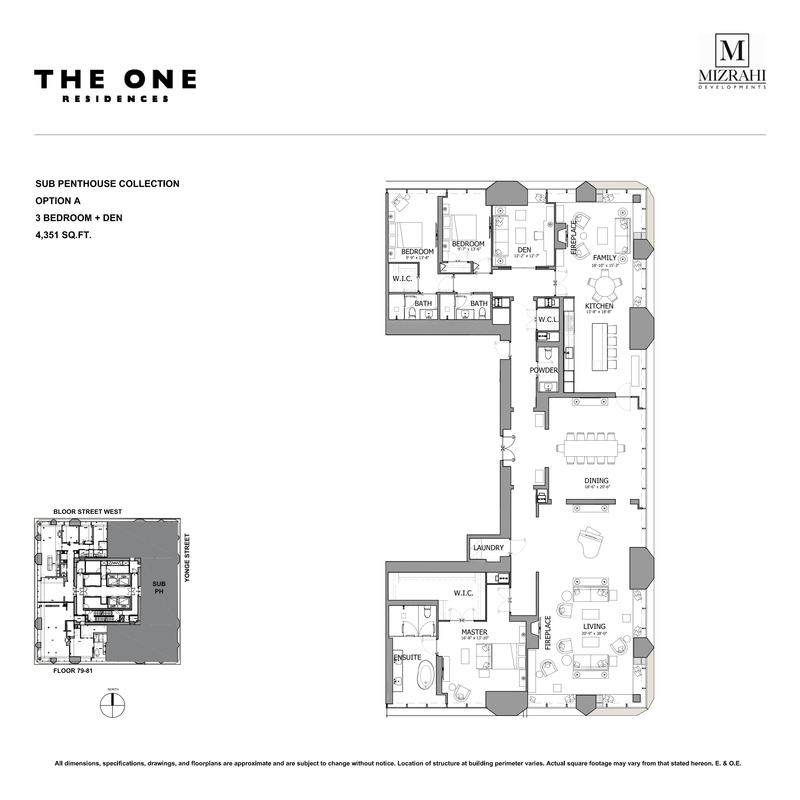 Mizrahi Developments is a boutique firm, renowned for its passion for craftsmanship and details, those you can see and those you can’t, which create a soundproof retreat from the world, one that offers a sense of well-being and beauty. 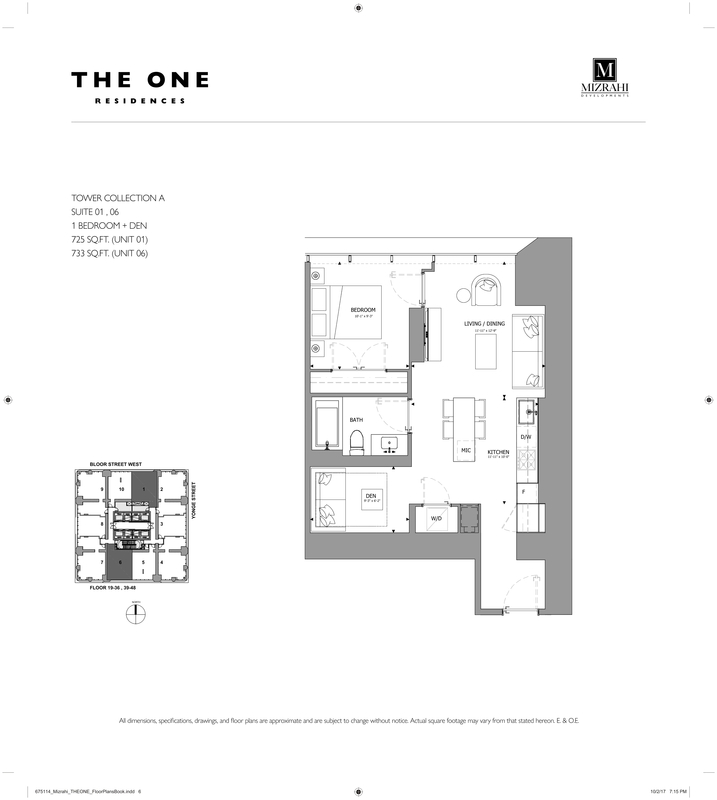 The views from here, stretching out to Lake Ontario, are unprecedented. 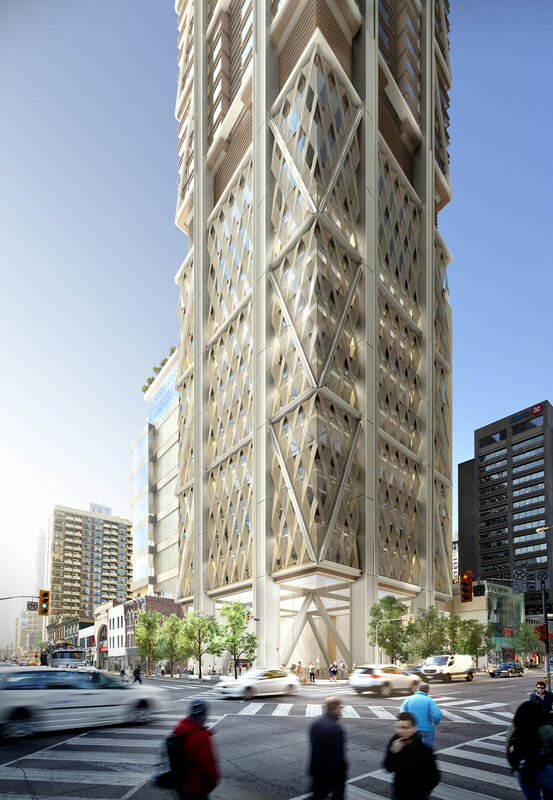 THE ONE BLOOR WEST will be designed by Foster + Partners, one of the most innovative architectural firms in the world today, making it a memorable part of Toronto, a city that knows how to live. The One is an iconic global address. Its location, minutes from all the Canadian flagships of international fashion and design is second to none. Holt Renfrew, Cartier, Prada, Hermes, Gucci, Chanel, Louis Vuitton and more are neighbours. 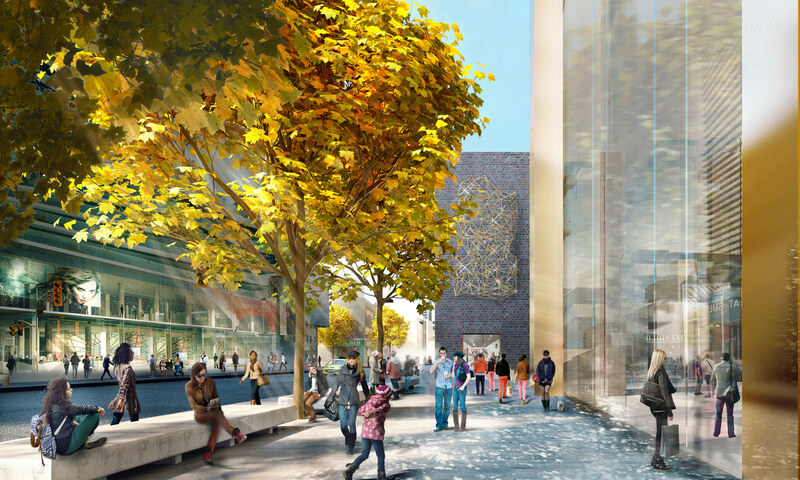 The spectacular new Royal Ontario Museum and literally hundreds of fabulous restaurants, cafés, stores, services and cultural venues are all within a short walk. 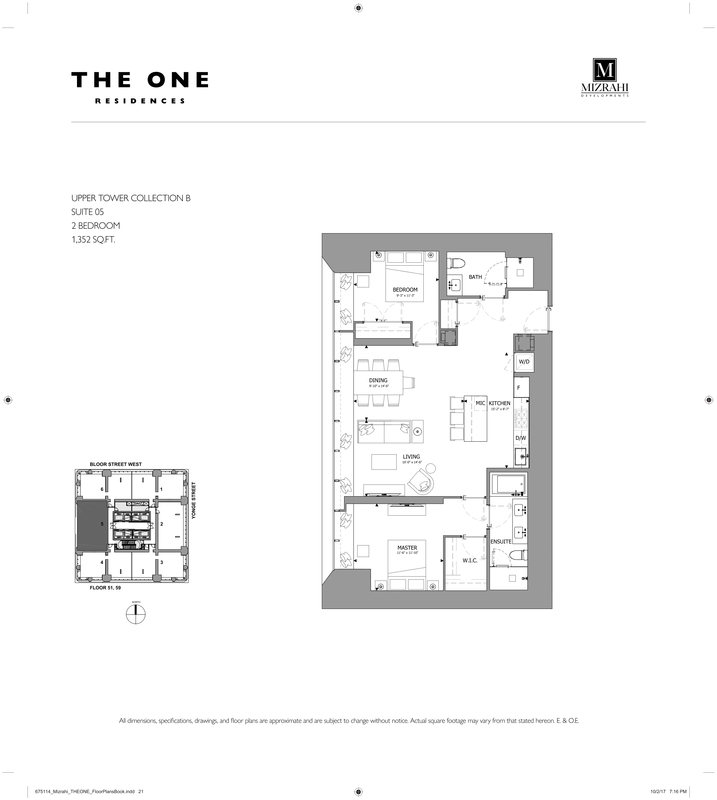 And, at The One, residents will have direct access to both the Bloor and Yonge subway systems. 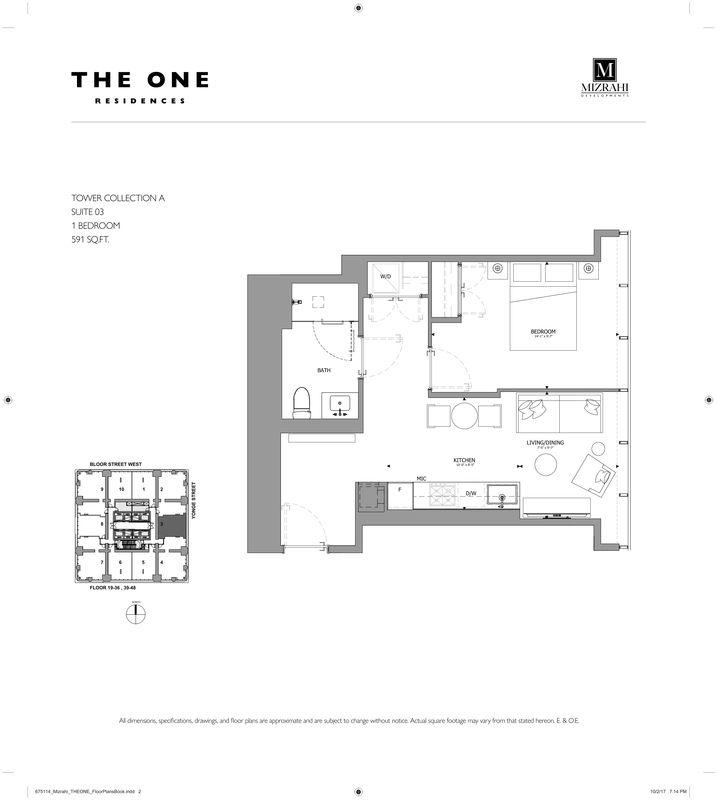 This is Canada’s corner. 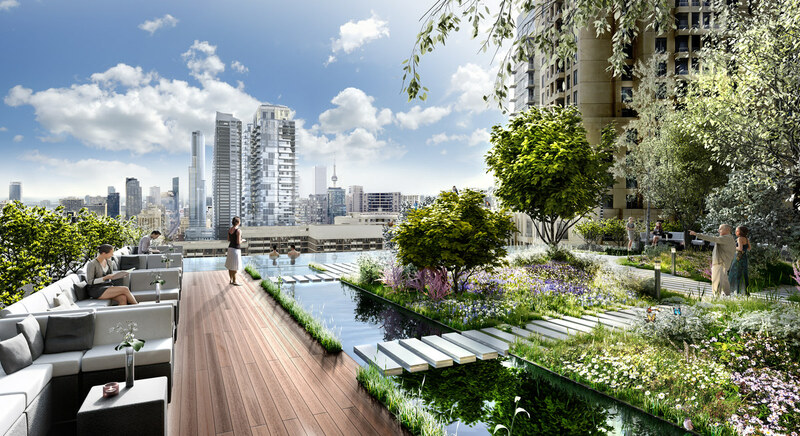 It’s where East meets West and North meets South in the biggest, most vibrant city in the country. 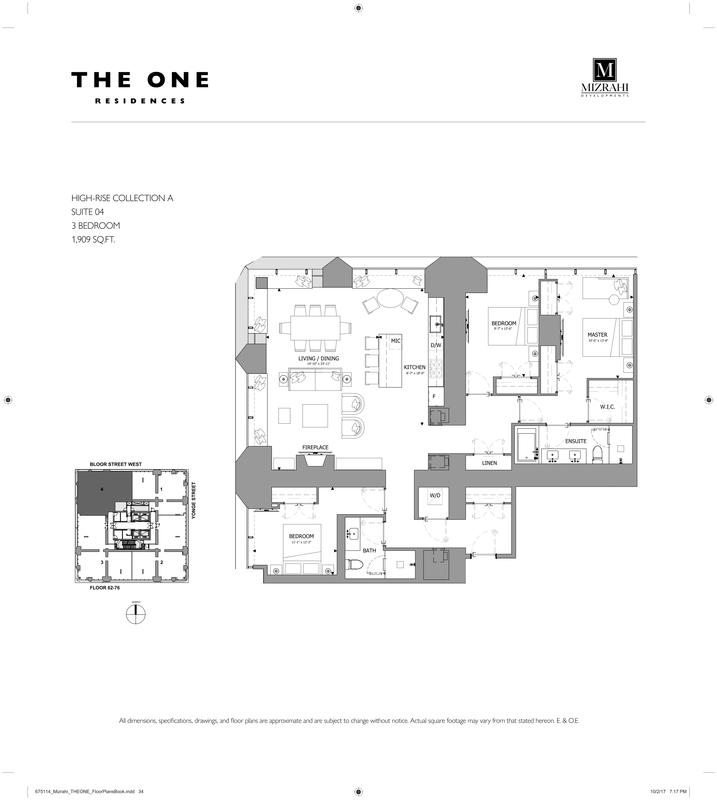 This project couldn’t and wouldn’t be ordinary. It had to be extraordinary. 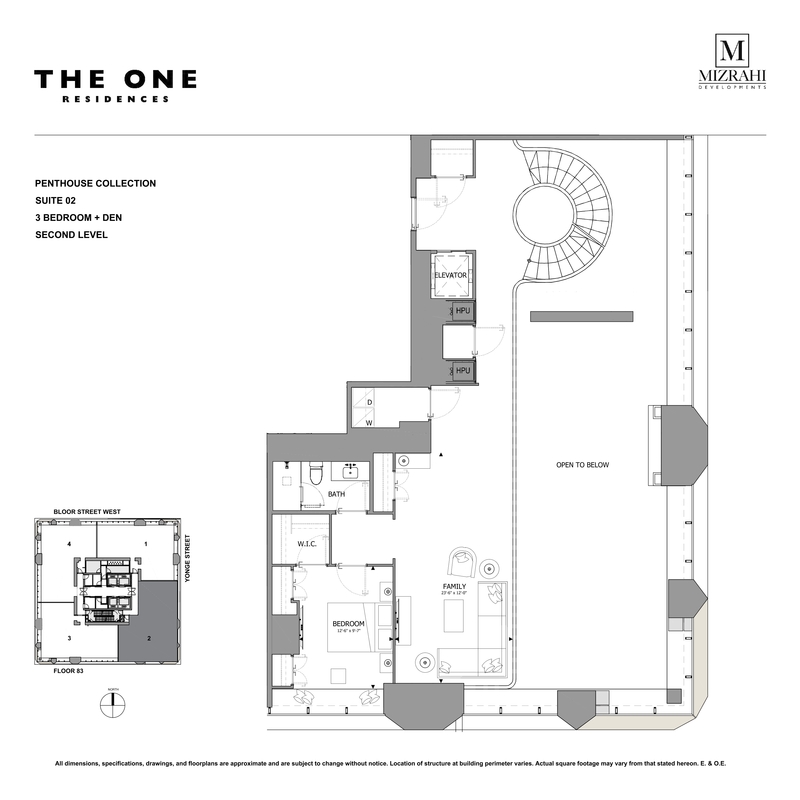 It had to be a building like no-other, it had to be THE ONE. 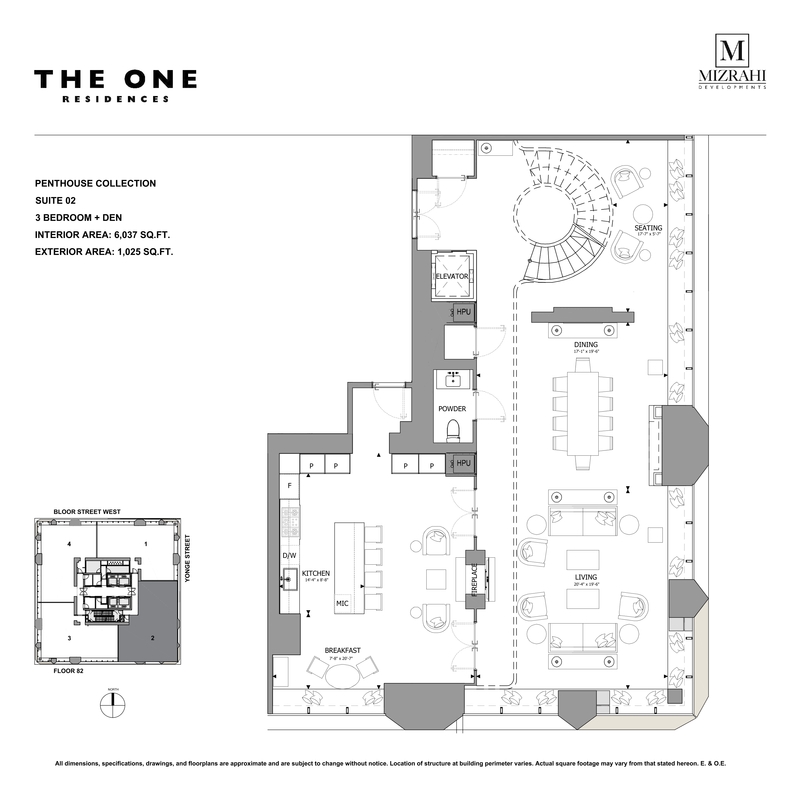 10 floors of retail space, including high-end restaurants as well as bars and casual restaurants. 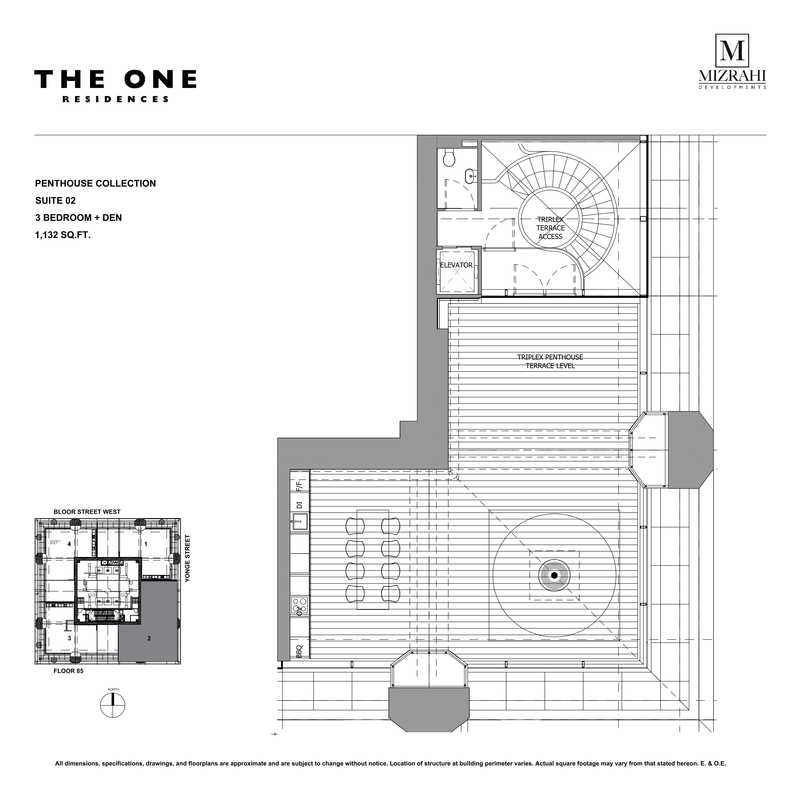 Approximately 4,500 square ft each. 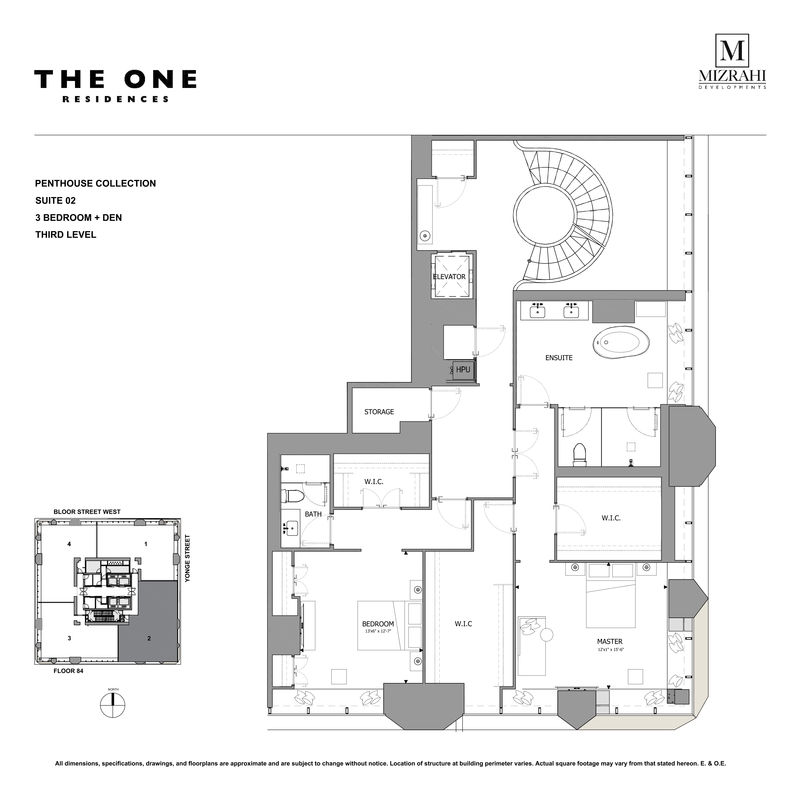 Each penthouse unit will consist of 3 floors, with a staircase and an interior private elevator.